Hello.. I'm picoHat, a networking Enthusiast. Having problem in your home network? Not too sure what you need to build a network? 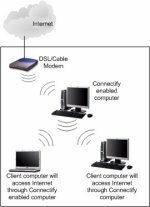 Here is my mini blog telling about home and wireless network setup information and tips in order to help you to solve networking problems. - Home and wireless networking tutorial in Windows XP and Vista. - Useful tips to build and maintain a network. To subscribe to my Home and Wireless Network blog, just right-click on the orange RSS button (see bottom buttons to the left), copy the shortcut and then paste the URL into your RSS reader. The other method is click on "add to YAHOO! ", "MY MSN" or "Add to Google" button if you have a personalized home page there. Subscribe today and stay updated!! Windows 10 mobile hotspot feature makes the Internet connection sharing a simple task! Continue reading "Using Mobile Hotspot to Share Internet Connection in Windows 10"
Continue reading "Windows 10 File Sharing over Network"
Check this anomymous free proxy list and make simple configuration on web browser, then you can surf the Internet anonymously. Continue reading "Anonymous Free Proxy List"
Continue reading "What is Powershell"
Let's find out about remote desktop on iOS device here! It's about establishing remote desktop connection from iOS device to remote desktop enabled computer. 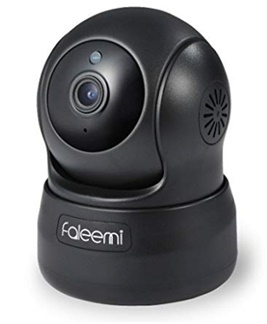 Continue reading "Remote Desktop on iOS and Android How to"
Continue reading "How to Enable Windows 10 Remote Desktop Quickly "
The Faleemi HD Pan/Tilt WiFi IP Camera is a simple to use camera that can be positioned within home and remotely controlled from your mobile device or computer. Continue reading "Faleemi HD Pan/Tilt WiFi IP Camera"
Continue reading "Changing Network Type Easily with PowerShell in Windows 10"
Continue reading "Wireless IP Camera Security Tips"
Yes! Sharing Internet by using Connectify software router easily! You can easily share your DSL or Cable, or even 3G/4G Internet connection to other computer by using this software. Continue reading "Sharing Internet by Using Connectify Easily"